Michigan Tech was listed among the 25 institutions of higher learning that shared in nearly $1 million in funding from DENSO International America, Inc.
DENSO, one of the world’s largest automotive suppliers of technology and components, announced that its philanthropic arm will donate nearly $1 million in overall funding to 25 institutions of higher learning across North America to support science, technology, engineering and math (STEM) educational programming. 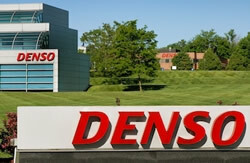 “Manufacturing and automotive companies need technically-minded associates now more than ever,” said David Cole, DENSO North American Foundation board member. Read more at Fleet News Daily.